Fly fishers originally only went after trout. However, now enthusiastic fly fishers catch boneheads, tarpon, salmon, and other fish as well. While there are many places where one can pit one’s skills at presenting a fly or bait to the fish and being honored with a bite, some places are much better than others because of the physical beauty of the location, the clear waters, and the multitude of fish that are available. The San Juan River has plenty of large- and medium-sized trout, ensuring that you can attempt to catch a nine-pounder… or at least land a five pounder. The river has rainbow, brown, and hybrid trout in large numbers. While many fly fishers come here throughout the year, you can still manage to land some fish. Those looking for a more peaceful atmosphere and would like to enjoy the clear waters should plan their fishing in the off-season after Labor Day or in early spring. With the proper clothing, you are quite comfortable doing this. The big Horn River in Montana is a marvelous source for trout, both large and average sized. The numerous insect hatchings throughout the year attract the trout to this river in large numbers. Plan a trip in fall if you are looking for a less crowded experience or visit in summer and enjoy the companionship of other fly fishing enthusiasts. The entire state of Colorado is crossed by rivers brimming with trout. However, the best location in the state is probably Glenwood Springs. The Colorado and the Roaring Fork rivers join in this town and other rivers ideal for fly fishing such as the Frying Pan, Eagle River, and Gunnison can be reached and fished in day trips. The town also enjoys an abundance of sunny days – around 300 a year – ensuring that you can enjoy fishing to your heart’s content without having to wait for sunny days. This town offers plenty of fishing including some beautiful fly fishing spots for those looking to catch their big trout. The White and Norfolk Rivers are ideal fishing grounds for brown trout. Some record-breaking large trout have been caught here and you too can expect to catch your big one here. Fresh water fly fishing can be really enjoyed at Traverse City, Michigan. From May to October, you can fly fish in Lake Michigan and catch steelhead, salmon, carps, smallmouth, bass, and pan fish. The sheer variety of fish in this area will test your skills as a fly fisher and ensure that you rise up to the challenge of enticing the fish to bite. Not only is this good exercise, it is a lot of fun if the weather is right. Bozeman in Montana is close to the Yellowstone National Park and you can wade within the high water mark of the river to cast your fly. The beauty of the landscape and the clear waters enhance the fly fishing experience in Bozeman. Watch out for bears though! This is a stellar fishing community where everyone appears to fish. The locals certainly have plenty of reason to cast their fly as the 70 lakes are full of trout, smallmouth bass and other fish that attract serious fly fishers each year. 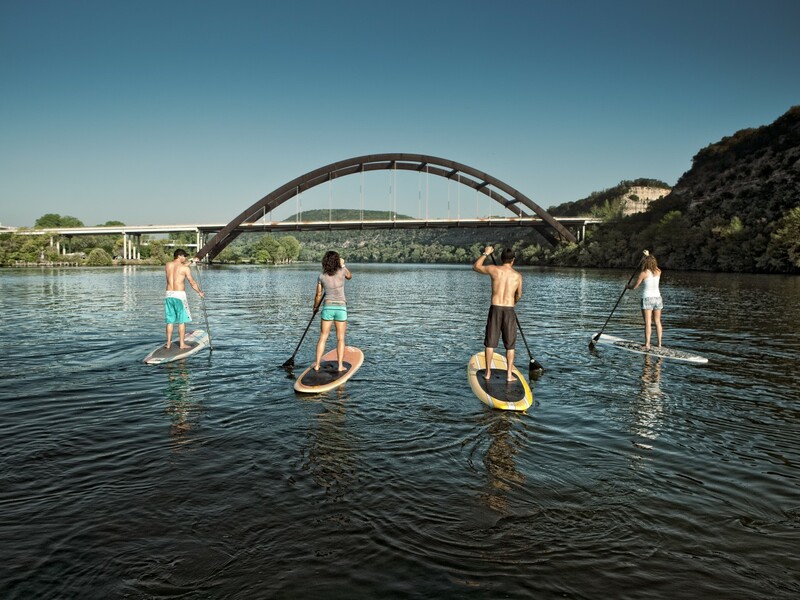 It is a fantastic place to enjoy the outdoors and the water. 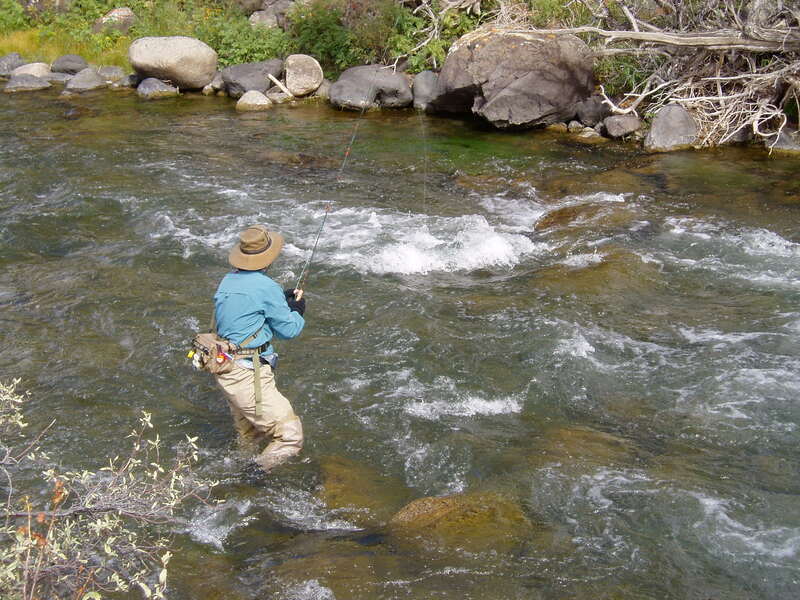 Those looking for a challenging time as they fly fish should head toward Silver Creek, Idaho. 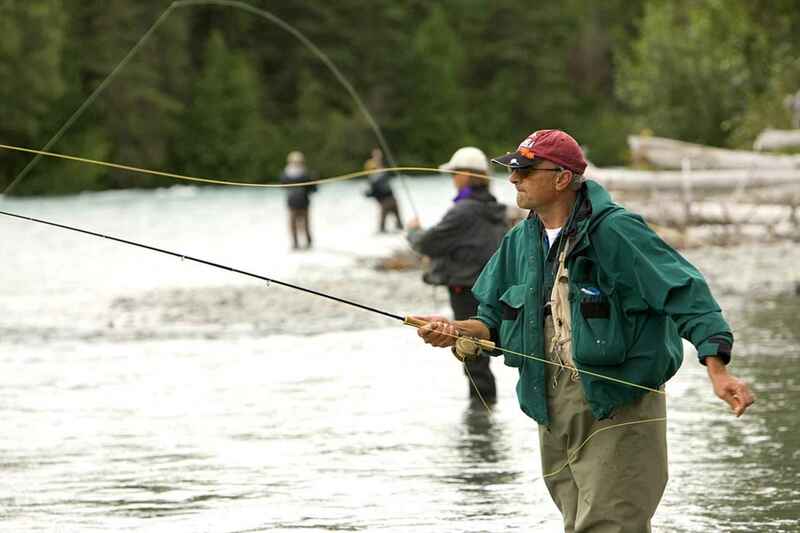 While Idaho offers plenty of places for the serious trout fisher such as big Wood, Big Lost, and South Fork, the real challenge is in Silver Creek and Henry’s Fork on Snake River. You can fly fish with friends as well. If you are looking for more wary fish that will test your skills and patience, then head toward The Keys, Florida. Enjoy the special charm of the ocean and the warmth that is unique to Florida as you pit your skills against wily bonefish, tarpon, largemouth bass, snook, and redfish. 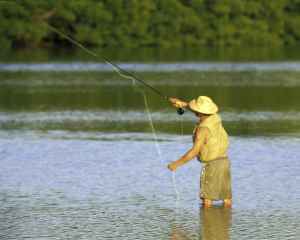 Apart from the saltwater locales you can also fish in the numerous lakes, ponds, canals, and ditches that are part of the Florida landscape. These freshwater sources also have plenty of bass and other fish that can be tempted with a great fly. Watch out for gators though! 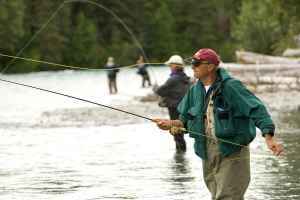 The town of Bend in Oregon attracts anglers and fly fishers as Deschutes River provides three different sections for fishing. In the upper reaches you will find the sleeper brown trout, in the middle you will come across the rainbow trout, while in the lower reaches one can catch the steelhead. The rivers and lakes in the region offer a variety of fishing locales that ensure that you can face a new challenge each day of your stay here. Fly fishing can be a constructive hobby since it ensures that you spend time outdoors pitting your skills and knowledge against Mother Nature in an attempt to catch a fish. 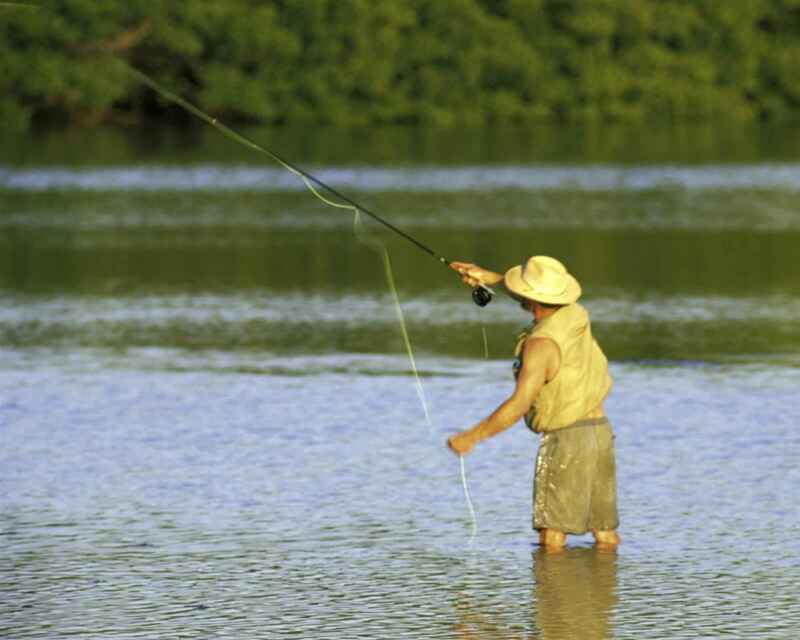 With fly fishing you will be able to enjoy a combination of stillness, sun, and water. Favorite Fall Patterns for Fly Fishing Western Streams in the U.S. This entry was posted in Destinations, Features, Fly Fishing, Homepage Featured by Benjamin Roussey. Bookmark the permalink. Benjamin Roussey is from Sacramento, CA. He has two master’s degrees and served four years in the US Navy. His bachelor’s degree is from CSUS (1999) where he was on a baseball pitching scholarship. His second master’s degree is an MBA in Global Management from the Univ. of Phoenix (2006) where he attributes his writing prowess. He has worked everywhere from small businesses to large corporations, and also for public agencies. He has lived in Korea and Saudi Arabia where he was an ESL instructor. He misses Saudi food and living in Korea. Benjamin has a tremendous work ethic and is quite focused. Now he writes professionally for several clients that covers one sector of our economy to another. He now lives in the Phoenix area after living in Cabo San Lucas, MX for 3 years. He enjoys sports, movies, reading, and current events when he is not working online.